THE night of Malaysia’s 14th general election, as the country sat riveted with the election results, I received various text messages from friends and contacts on the African continent. Many wanted to know if Tun Dr Mahathir Mohamad was going to be able to pull off the biggest political coup this side of history. Then, there were others who just wanted to know if this would mean that there would be rioting on the streets of Kuala Lumpur. It was not as if the international news networks were keeping mum on the events unfolding in Malaysia. But, for many African countries, Malaysia meant Dr Mahathir, and Dr Mahathir meant Malaysia; how could the two be separated? Added to that was the mind-boggling idea that a man eight years shy of his centenary could have the stamina, political pull, and mental capability to run a campaign that would put many middle-aged politicians to shame. “Malaysia” as a name, became well-respected during Dr Mahathir’s tenure in the 1990s. Malaysia, as a country, was one of the first developing countries to pursue an active south-south cooperation with Africa by establishing joint ventures, bringing in Malaysian investors, and encouraging robust trade with Malaysia. As a trailblazer, we were in Africa when China’s outward-looking policy was but a mere idea. The first Langkawi International Dialogue, which brought together many of the leaders of Africa, was held in 1995. By 1997, the LID was already garnering attention as a visionary forum for the movers and shakers of the developing world to gather and exchange frank ideas. Despite Dr Mahathir’s interest in Africa, Malaysia still had only one or two outposts in the continent, with one ambassador covering eight or 10 African countries. However, in the space of six years, by 2003, Malaysia had no less than 12 embassies in Africa. This was also the year that Malaysia’s presence in Africa began a slow but sure withdrawal. We now know in hindsight how events unfolded that night of May 9 and the morning of May 10. As far as upsets went, the results of GE14 marked the end of the rule by the same coalition for the past 60 years. In its place was a new coalition, headed by a former prime minister who had led Malaysia for more than a third of those 60 years. The changeover was relatively smooth. There was no rioting on the streets, and no blood was spilled over the transition. While Malaysians remained glued to the news and social media over the formation of the new cabinet and state administration, congratulatory messages from all over the world, including from Africa, were coming in thick and fast. 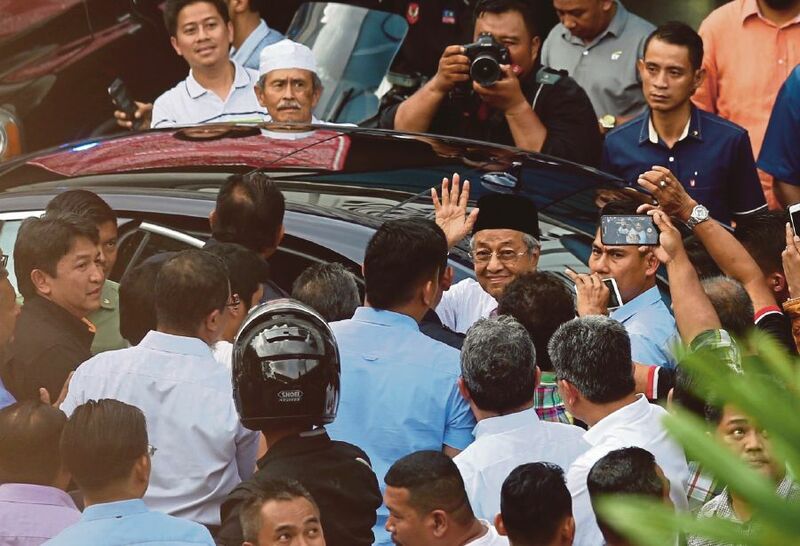 For West Africa, a return of Dr Mahathir meant a shift in Malaysia’s attention from only the big players, to developing countries of the south. Sure enough, in one of his first policy outlines, Dr Mahathir indicated that there would be more south-south cooperation; only the form of it needed to be clarified. The Africa of old is nearly all gone now. Chinese investments, greater trade, and more educated officers and leaders now mean that they are asking us to help them catch better fish, rather than to provide that fish. In exchange, they now have valuable resources, both in terms of commodity and human resources, that we can benefit from. Earlier this year, Malaysia was dealt a devastating blow when it failed to secure enough votes for the UN Human Rights Council. In 2003, when we stood for the UN Commission on Human Rights, we managed to get 189 votes, only three votes short of unanimity. The simple answer of why we lost this time around is because we have less friends now, or less friends who admire what we stand for. We need to regain the international spotlight for ourselves. The Malaysia many out there know was the Malaysia that brought the exploitation of Antarctica to a practical standstill; the Malaysia that committed troops and resources in the name of the oppressed halfway across the world; and the Malaysia that forced the developed world to recognise the principle of “common but differentiated responsibilities” in terms of the environment. Malaysia’s landmark GE14 has come and gone, but it has left behind an indelible mark on the political landscape, both domestic and international. Once again, Malaysia has captured international attention, this time for all the right reasons. It is up to us to ensure that this opportunity is used wisely, to reach out to as many friends as we can.